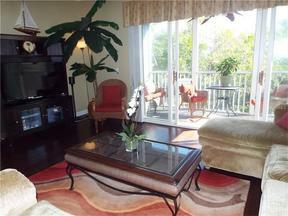 This Gorgeous townhome is a must see...Offered Turnkey Furnished! Condo has been completely updated throughout! 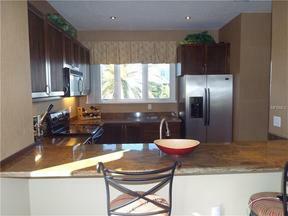 Kitchen updates complete with granite countertops, wood cabinets, stainless steel appliances & porcelain tile flooring. Living room/Dining room has beautiful Bamboo flooring while both bedrooms feature high quality carpeting. Both bathrooms are updated with granite countertops, tiled showers & porcelain flooring. Other updates include Pella Hurricane Impact Windows, Hurricane Impact Garage door, Exterior Hardi-Board siding, Two A/C units replaced in 2013 and include a 10 year warranty. Termite Warranty. Lanai was also rebuilt in 2015. This unit is located in the popular Evergreen Way section of Cedars Tennis Resort which host lush tropical landscaping, Fishing Pier and private bayside beach just steps away from condo. This unit is also an end unit which provides lots of natural sunlight & extra privacy. The wooded area in the back will allow you to relax and enjoy your lanai in a peaceful and relaxing setting. Ideal for a year round residence or a great rental income opportunity. Townhome features include oversized garage with additional storage area. This community is pet friendly. Cedars Tennis Resort hosts 10 Har-Tru lighted tennis courts, Junior Olympic swimming pool, 24 hour fitness center, bayside fishing pier and an onsite restaurant/tiki bar. Conveniently located to St. Armand’s Circle, Downtown Sarasota, Anna Maria island and the breathtaking beaches of Longboat Key.